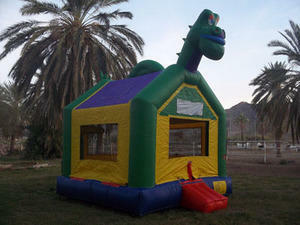 This bounce is perfect for both a "Dinosaur Party" or "Knights and Dragons." This Bounce even has a Basketball Hoop inside for extra fun! Comes with an inflatable step.